The population of the Republic of Ireland increased by 3.8% in the five years between 2011 and 2016 according to the summary results of the census of population published by the Central Statistics Office today. This brought the numbers living in the State to 4,761,865 people in April last year. However, according to the CSO this was the slowest increase for 20 years. Net migration of 22,500 people during the five years between 2011 and 2016 reduced the population growth. The Census also showed that the population of Dublin grew by 5.8%, Cork by 4.6%, and Galway by 4.2% during the intercensal period. Population fell in only two counties, Mayo and Donegal, where the numbers were down by 0.1% and 1.2% respectively. There was a significant fall in the number of births, which was down to 67,000 in 2015 from 77,000 in 2010. The Census also shows an ageing country with a 19% increase in the number of people over the age of 65 since 2011. The average age of the population is now 37.4 years, which is up from 36.1 years five years ago. The youngest areas include Fingal in north county Dublin and counties Kildare and Meath. The oldest include Kerry, Mayo and Leitrim. The Census also shows that there were 53,000 more females than males in 2016. It also shows that the rate of household formation has fallen below the rate of population growth with a 2.9% increase in the number of private households and a 3.7% increase in the number of people living in those households. The result was an increase in average household size to 2.75 persons which was a reversal of a long-term decline in average household size. The number of children per household was 1.38, unchanged from 2011. The Census also showed that 17.3% of the population were born outside the State. That is a total of 810,406 people, up 6% compared to five years ago. 82,346 people moved to the country in the year leading up to the Census in April last year. This was an increase on the same number five years ago when the numbers moving into the country was recorded at 53,267 people. However, just over 28,000 of those moving here were Irish-born, 54,000 were non-Irish. There was an increase in the numbers of people with dual citizenship recorded by the Census and as a result the proportion of non-Irish nationals in the country fell by 8,882 to 535,475. That represents a reduction proportion of non-Irish nationals from 12% of the population in 2011 to 11.6% in 2016. The number of Polish people here was virtually on changed at 122,515. However, it means the Polish are still the second-largest nationality in the country after Irish people for the second consecutive census. The number of UK nationals living here fell by 9,146 people to a total of 103,113. 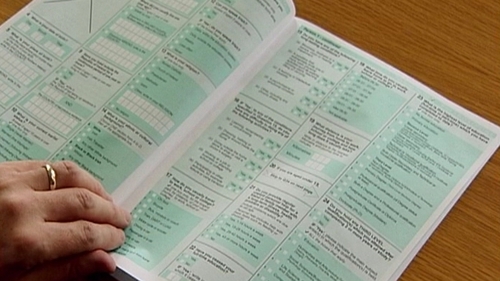 The Census also recorded a 5.1% increase in the number of Irish Travellers in the country. The total number of Travellers is now 30,987 up from 29,495 five years earlier. Longford had the largest increase in Traveller population, up 41%. In terms of religion, the Census found that 78% of the population - 3.7m people - declared themselves as Roman Catholic. However, it is also a reduction of 132,220 compare to five years earlier when Catholics represented 84% of the population. 10% of the population declared that they had no religion, up from 6% in 2011. This makes the non-religion group the second largest religious category with 468,421 people saying they had no religion, up nearly 200,000 in five years. In terms of housing, the Census found a total of 497,111 rented dwellings, an increase of 4.7% since 2011. The number of permanently occupied homes was 1,698,000.